Sources say that AMD is keen on keeping pace with Nvidia’s recently released Kepler-based 680 GPU in the high-end graphics market with plans to introduce a higher-performance version of their Radeon HD 7970 graphics card. The new card will be called the Radeon HD 7970 GHz Edition and as the name suggests, we can expect to see a card clocked at 1GHz, up from the reference design of 925MHz. Aftermarket vendors already offer 7970 cards up to 1,050MHz but these don’t fall within AMD’s reference specification. By making a 1GHz card official, AMD could once again proclaim to have the fastest single core GPU available (at least, in some tests). 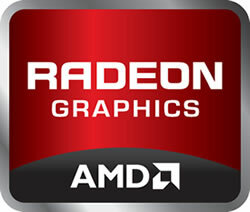 AMD is able to increase the clock speed officially due to improved silicon yields coming through the pipeline. The chip maker says that it now requires much less voltage to run a 7970 at 925MHz than it used to. In fact, they even claim that current yields are able to hit 1,250MHz with little effort. One has to wonder, then, why they are only clocking up to 1GHz if this is true. Perhaps they are planning to release even faster cards down the line? In our own review of the Radeon HD 7970 late last year, Steven was able to push his sample up to 1,055MHz and 1,450MHz on the memory side. This resulted in an average boost of around 4fps at 2,560 x 1,600 in most games tested. No word yet on when AMD might make the GHz Edition cards available for purchase.